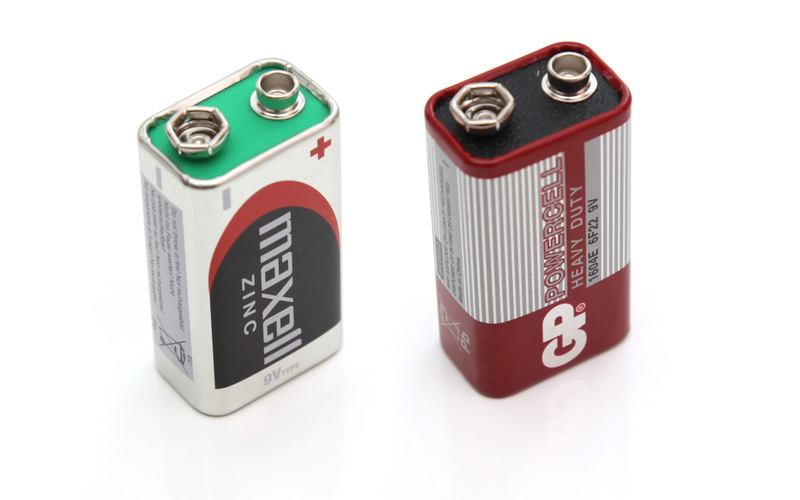 One thing you should be very careful about is the expiration date of Carbon-Zinc and Alkaline batteries (primary batteries) as the closer the battery is to the end of its life cycle the less capacity it will be able to provide. More often than not when you pick a single use battery from a store you expect it to have a lot of time left before the expiration date is reached, so you don’t check the date printed on the battery, however this can be a mistake. Although Carbon-Zinc and Alkaline batteries usually have a low self discharge rate and long shelf life they are not going to perform so well when they are close to their expiration date as they would when they are new (usually 3-5 years after they were manufactured). The problem is more serious for Carbon-Zinc batteries that usually have less shelf life and offer lower capacity than Alkaline batteries, so you should be even more careful with these. And while some battery manufacturers may put a few months as an extra over the expiration date others may not, and there are also some additional factors that may influence the battery life such as the storage conditions and such. So in general you should check the battery expiration date when you buy primary batteries and if there are just a few months left you should not get them even if you do plan on using them immediately. We’ve decided to test some Carbon-Zinc batteries that are either close to their expiration date or have already passed it, so after a bit of looking around we managed to actually buy such batteries – yes you can sometimes find expiring or even expired batteries still being sold in stores and these are usually Carbon-Zinc ones and not Alkaline. We got a 9V GP Powercell Carbon Zinc battery that expires in September 2013 (next month) and a 9V Maxell Zinc battery that has already expired in June and put them to a test using our test scenario for 9V batteries. This includes a constant discharge rate of 0.05 Ampers (50 miliamps) in order to measure what is the useable capacity we can get from these two batteries and the results we’ve got were quite surprising for us. The soon to expire 9V GP battery ended up hitting the cutoff voltage with just 38 mAh useable capacity and the already expired 2 months ago 9V Maxell battery still had 98 mAh. So even at the end of their life primary (single use) batteries may still be useable, however their useable capacity will be significantly less than what they are able to provide while new!